Lantmännen Unibake UK has tapped in to the British public’s love of classic flavours with the launch of a NEW Cherry Bakewell Plait Danish Pastry, as part of its growing Schulstad Bakery Solutions range. 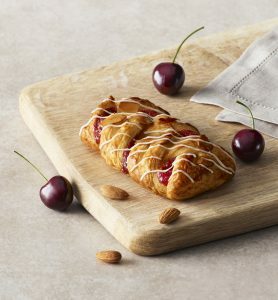 Featuring 24 layers of light flaky pastry, a sumptuous cherry remonce filling, topped with flaked almonds,the brand’s signature glaze and hand finished with white icing, the new addition is set to add value to the Danish Pastry category, which already sees 68.5 million purchases a year. Inspired by the popular format of the brand’s Maple Pecan Plait, which is the best-selling Danish Pastry in the UK, the Cherry Bakewell Plait allows consumers to enjoy the much loved flavours of a Cherry Bakewell in an innovative new format. The NPD is perfect for an on-the-go morning treat or for an afternoon pick-me-up, making it a must stock item for the fixture. 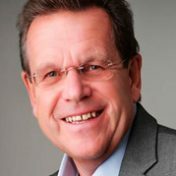 With 50% of consumers stating that a sweet pastry is the perfect accompaniment for a hot drink and 72% saying they would make a joint purchase at least once a week the Schulstad Bakery Solutions range expansion will help retailers continue to capitalise on the incremental sales that food and drink pairings offer. Kate Sykes, Marketing Manager at Lantmännen Unibake UK, comments: “Traditional British flavours are experiencing a significant resurgence. It is therefore imperative that brands work with their customers to explore ways to bring these flavours to life across new formats and consumption occasions.